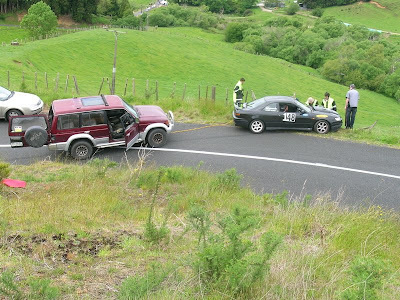 The Fiat racing club closed Sainsbury Road in Pirongia for the day. 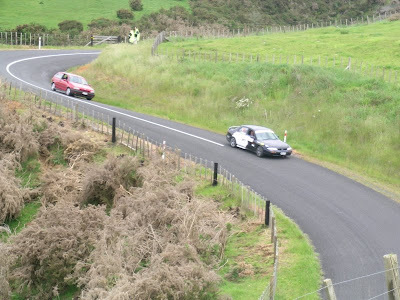 A perfect road for a hill climb with straights many twisty turns! 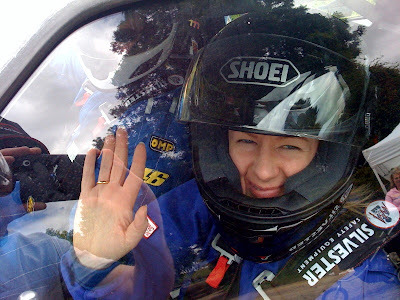 My Friend Christine even had a go with Blair at the wheel! She loved it. 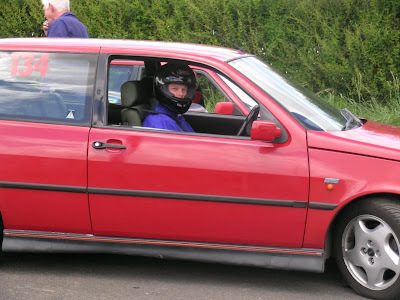 Rob in his Fiat Tipo. Christine and I Cheered the boys on! 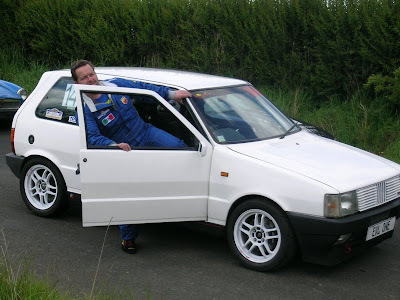 Blair and his Fiat Uno. Coming back down the hill after the racing. One poor driver didn't quite make it and was saved a nasty roll down the bank by a piece of good old number 8 wire.